It was bought from a computer store website and In the description it was sold as New but "after tests", henc the discounted price. On one hand, this value is referenced to in the web as one of 5 most serious disk failure predictors. This computer chain store has hundreds of those drives "after tests" throughout the country, so I an inclined to guess that every one of them is like mine - in fact new (also confirmed by Power On Time, among other things), but after some "tests" and this extremly high property 187, even if not a glitch, has no impact on the disk itself, considering the remaining SMART values. But this is just a wild guess and I would appreciate your feedback. I don't like much about that output. 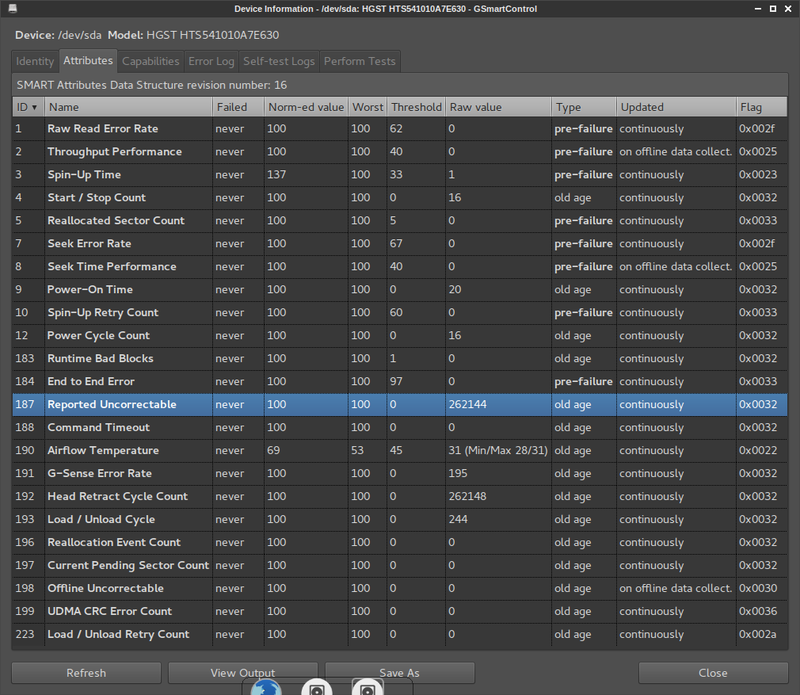 Run the HGST drive fitness test and see what it says as a second source. I run the Short Test from the tool you linked to. I understand this is just a regular SMART short test which I can run from any SMART software, not just this HGST tool, right? Anyway, it passed in both cathegories (surface and something else). As you can see, the number of Reported Uncorrectable is now twice as high as just few hours ago. New drives sometimes come with errors, sometimes develop errors during shipping, handling, and installation; and then there is this. Hundreds of "new" drives that for some reason needed "additional testing" before being sold at a discounted price. Too many unknowns and red flags, not worth the hassle to be hung up over one individual unit. 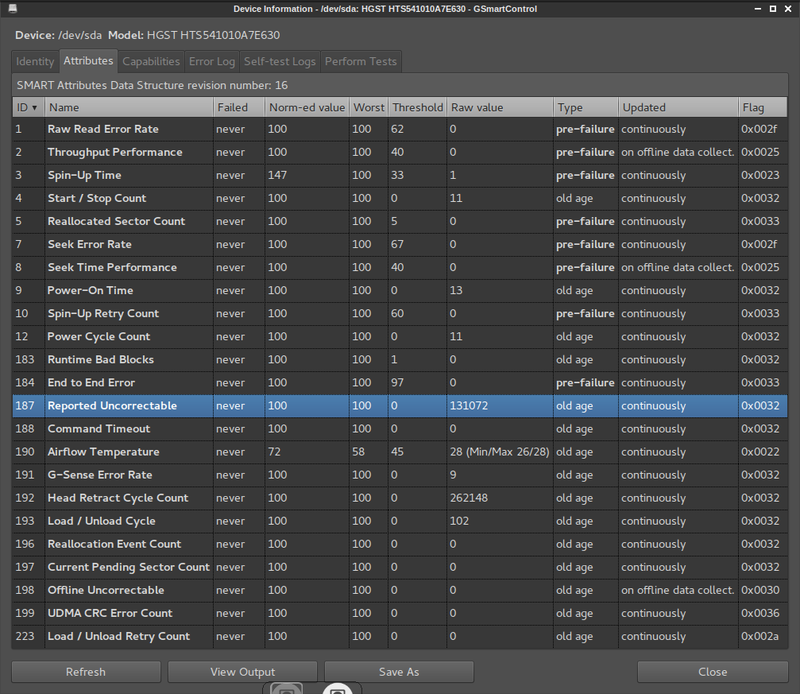 That parameter in particular indicates the count of errors that could not be recovered using hardware ECC. Having in mind that the raw value of uncorrectable sectors is increased between the first and the second test I would suggest to RMA the drive and get a replacement. At least 192 is still there and is nothing like the old one. After few hours of use 192 doesn't look so hot anymore... Is this normal?